The Snake Ultimate Surveillance Kit is ideal for undercover operations. Never before has an earphone been so discrete. 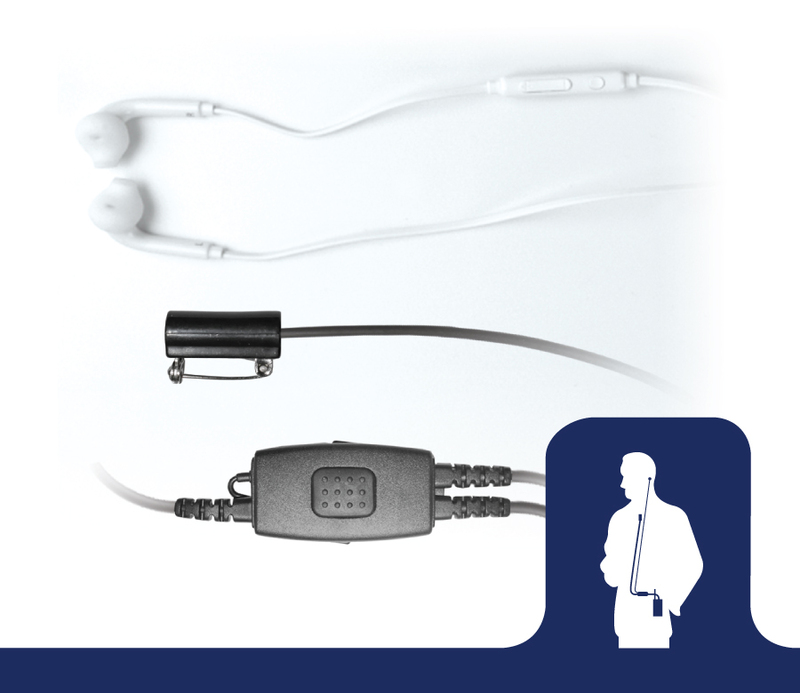 The Snake kit includes a low-profile highly sensitive microphone that covertly clips under a simple t-shirt, while the audio jack assumes a typical iPod style appearance. 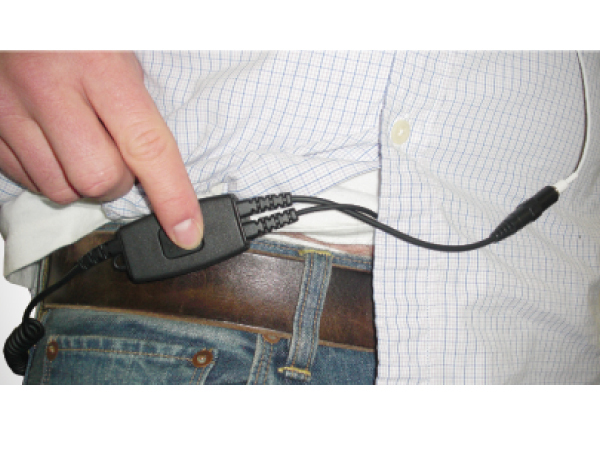 With your hands in your pocket, you can inconspicuously access the belt-clip PTT button. The Snake adapts to any look because of the “easy to conceal” features. Safety pin microphone is easy to conceal & is sensitive to a whisper. 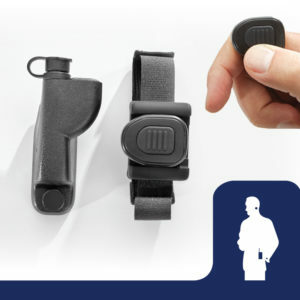 Covert belt-clip PTT (push-to-talk) with rotating metal clip. 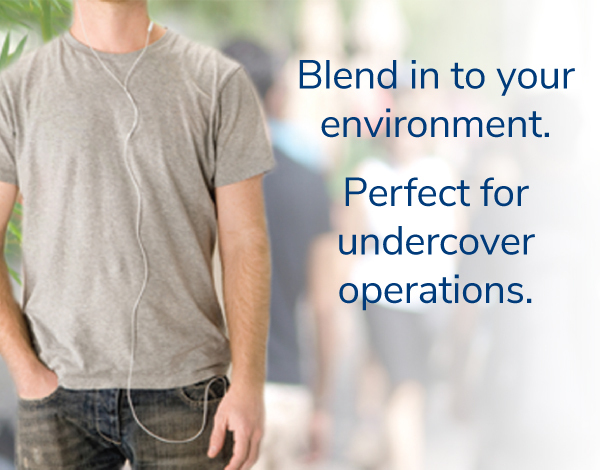 Low-profile earbuds ideal for blending in during surveillance operations. You may also customize with your own earbuds or headphones. Blend in with the crowd. Watch this video outlining the features & benefits of the Snake Covert Kit. The Snake Kit worked great for covert surveillance & discreet communication. I was impressed by the microphone underneath a t-shirt and the idea of using regular headphones & a speaker. I was amazed by the sensitivity of the microphone to pick up underneath several layers of clothing while officers were whispering. I strongly recommend this system to every Street Crimes, Narcotics, Vice & covert unit out there.